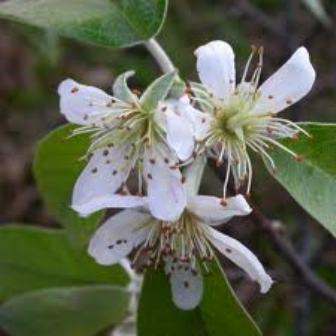 Synonyms: Docynia hookerii, Docynia rufifolia, Malus docynoides, Pyrus indica, Pyrus rufifolia. Other names: Docynia, tong, thunghurpu, mel, mehul, likung, soh-phoh. Assam apple is a native of the Eastern Himalayas. It is found in Eastern Himalayas from Nepal to China. 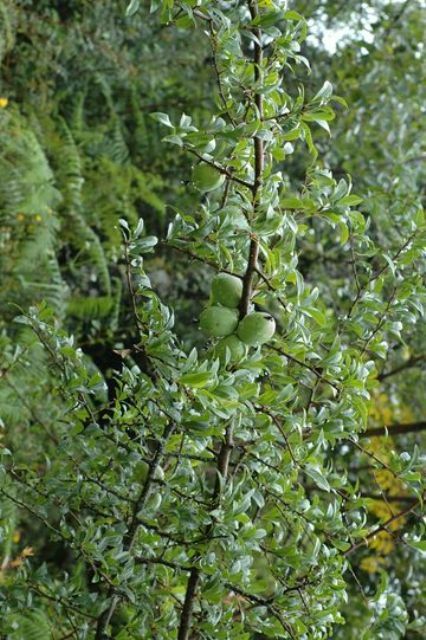 This plant grows at open places, slopes, stream sides and thickets between the elevation of 2000 to 3000 metres Nepal, Bhutan, Sikkim, Meghalaya and Arunachal states of India, and also in the Western China. Though this fruit is popularly called apple, but is seems to be more closely related to quince (Cydonia oblonga) than apple. Trees semi evergreen or deciduous, 2–3 m tall. Leaves, elliptic or oblong-lanceolate, 3.5–8 × 1.5–2.3 cm, firmly papery, abaxially sparsely pubescent or sub glabrous, adaxially glabrous, lustrous, base broadly cuneate or sub rounded, margin shallowly crenate, rarely serrate or entire only at apex, apex acute or acuminate; pedicel short or nearly absent, pubescent. Flowers 3–5-fascicled, 2.5 cm in diam. ; sepals lanceolate or triangular-lanceolate, 5–8 mm, both surfaces pubescent; petals white, oblong or oblong-obovate, 1.2–1.6 cm × 5–9 mm; stamens 30, styles as long as stamens. Fruit yellow, sub globose or ellipsoid, 2–3 cm in diam., slightly pubescent when young; sepals persistent, erect. Assam apple flowers in March April and the fruits mature in September. Fruits have an acidic taste and are eaten fresh. These are also made into a local pickle. A tasty jelly can also be prepared from Assam apple fruits. The wood is hard and close and even grained. It is for making tool handles. The branches of Assam apple make walking sticks. The wood is also used for making drums. 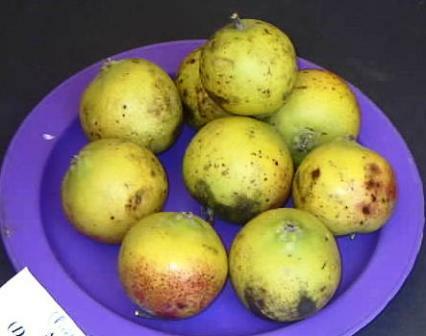 Assam apple is sometimes planted in home gardens in East India for its fruits. Assam apple is not very cold hardy by European or American standards. It can withstand temperatures down to about -5 to 10 C.
It requires a well-drained soil in a sunny position. The plant is propagated by seed. It can also be grafted on crab apple rootstock.